If you were in an accident and suffered injuries because of another person’s actions, you will first need to seek medical help and treatment. 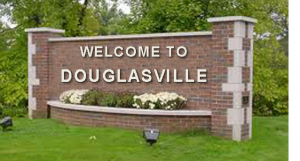 Your next step should be to talk to a seasoned and professional personal injury lawyer in Douglasville. The lawyer you choose could affect the amount of payment you receive after an accident or if you receive any compensation. Van Sant Law,, offers the experience and reputation that clients have come to trust. David Van Sant, the founder of the firm, has been awarded the highest possible Avvo rating and been given the Avvo Client’s Choice Award because of the top-notch reviews he has received from those he represents. In addition, he is listed in Super Lawyers® and in the National Trial Lawyers Top 40 Under 40. After winning seven-figure settlements and verdicts, he became a member of the Million Dollar Advocates Forum® and the Multi-Million Dollar Advocates Forum® – honors only conferred on those who achieve these significant results on the behalf of their clients. How Can Van Sant Law, Help Me? Mr. Van Sant previously worked as defense counsel for an insurance company, so he understands the standard operating practices of these companies and the tactics they use to deny claims. Because of his background and knowledge of the industry, he is able to effectively defend his clients. His personal history with insurance companies helps him to strategize each case, giving his clients an extra advantage. Mr. Van Sant has an established track record as a dependable personal injury lawyer. After an accident, you might suffer the lingering effects of your injuries, and you could require on-going medical treatment and suffer the loss of enjoyment of life. You need a competent personal injury lawyer to handle your claim so that you can seek the maximum possible compensation. This compensation will not just be used for medical expenses, but will cover some of the following: time off work, vehicle repairs, property damage, loss of your job, and loss of enjoyment of life. If you cannot work after your accident, talk to David Van Sant, so that he can seek comprehensive compensation for your injuries. Learn about your legal rights from an experienced Gerogia personal injury attorney by calling (404) 991-5950 or filling out our free, no-obligation contact form today.